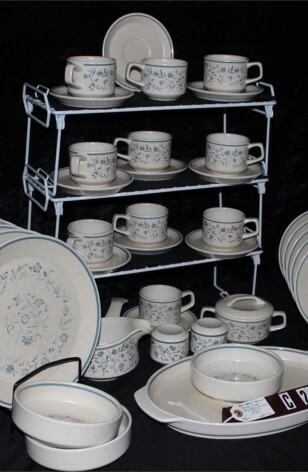 Vintage - A Beautiful Blue and White Set of Temper Ware by Lenox China, the "Blue Breeze" Pattern. Manufactured in 1972 to 1987. The Pattern has a Floral Center with Shades of Blue. A Blue Band on Lip and a white Rim. 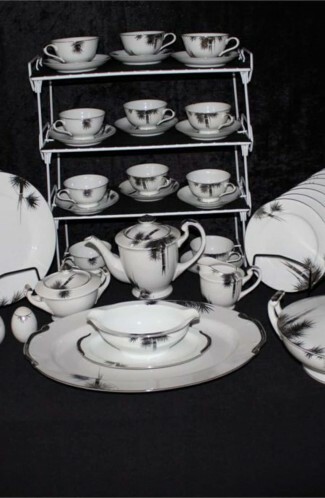 Would look very elegant on your Dining Table. 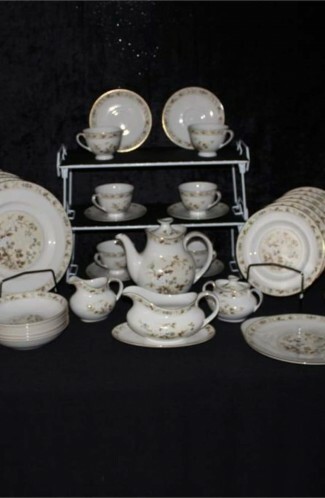 A (41) Piece Set with a basic service for (5) five, with additional pieces including (5) extra Cup & Saucers Duo Sets, totaling. Vintage - A Beautiful Blue and White Set of Temper Ware by Lenox China, the "Blue Breeze" Pattern. Manufactured frfom 1972 to 1987. 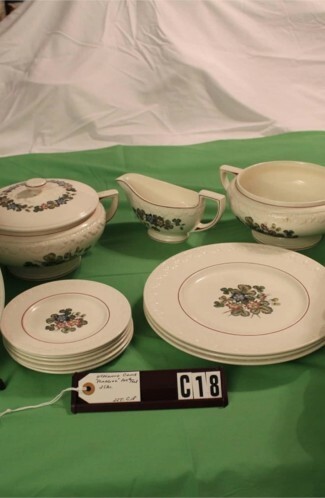 5 - Dinner Plates - 10 3/8"
5 - Salad Plates - 8"